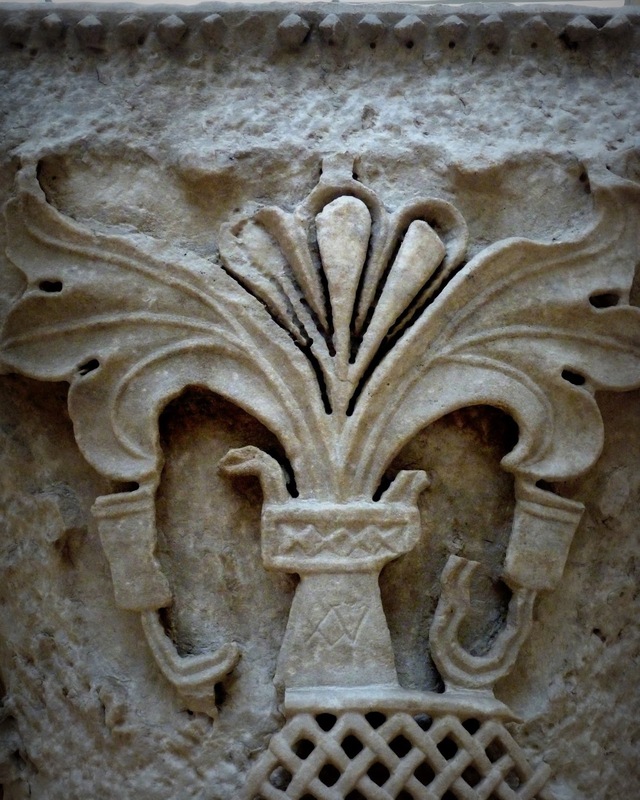 It was during my semester in Istanbul last fall, at a visit to Istanbul Archaeology Museum, I recalled Anicia Juliana and her church once again, upon seeing a capital with peacock motifs. 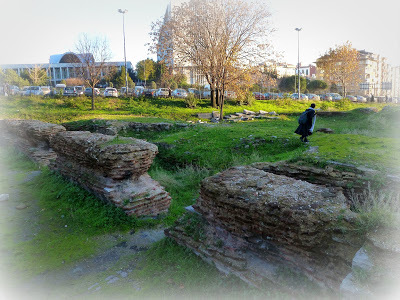 I found the section set aside for the Church of St. Polyeuktos among the Istanbul galleries of the museum, identified by the name of the present day neighborhood where they had been excavated, Saraçhane. There were some beautiful, intricately carved late antique marble works, capitals and columns with a few colored glass still intact, but visualizing the splendor and comprehending the significance of this church required more research. 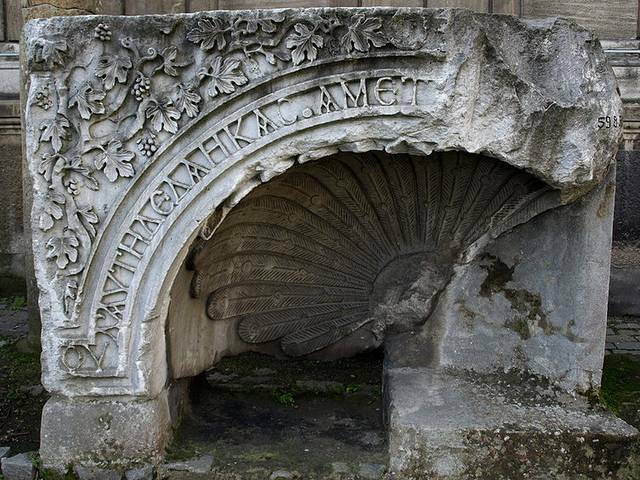 After inquiring, I learned that Saraçhane was the neighborhood directly across from the Istanbul municipality, near the aqueduct of Valens and the fragments leading to the discovery of this church were found during grading operations in the area in the 1960's. As a matter of fact, I had probably passed by the site, which is labeled an "Archaeological Park," thousands of times in my lifetime. It had been right there, where I took the right turn to go to the antique flea-market, Horhor, one of my favorite haunts in Istanbul. 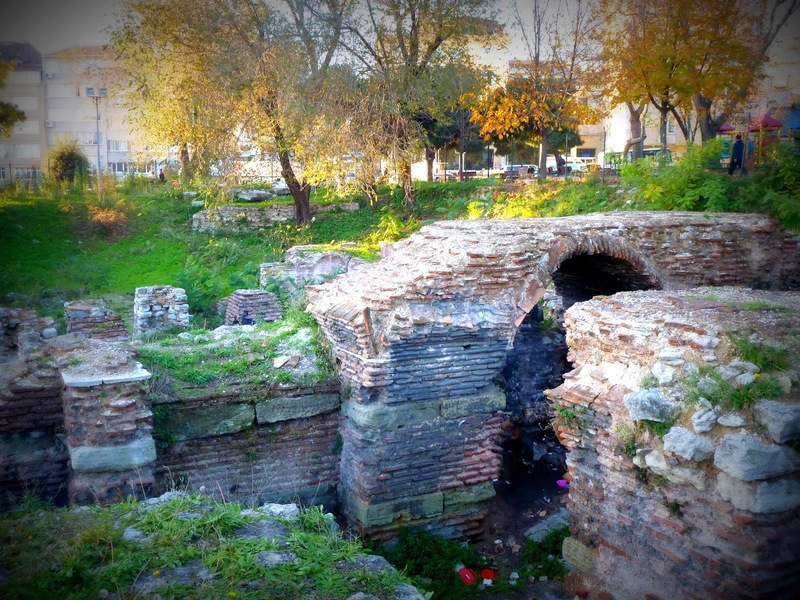 This was just another one of the remains of the Byzantine past buried beneath that great capital of Empires, Istanbul, it's fate, sadly recalling the neglected history of Byzantium. 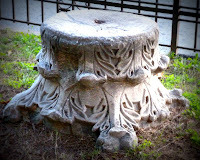 So, what was so special about this church and how did we compile a whole picture from the bits of marble strewn about? And where did Solomon's temple fit into all of this? This, is the great wonder of archaeology and art historical research, they tell us the tales of the people and places of the past, bringing to life a culture, a way of life that has been long gone and sometimes even forgotten for centuries but still relevant to us today. From the myth surrounding it about being an exact replica of the Temple of Solomon to its extraordinary decoration program which appropriated distinctly Sassanian motifs next to classical Roman ones, the most ostentatious structure of it's day, Church of St. Polyeuktos, standing in the middle of the processional way, between the Forum Taori and the Church of the Holy Apostles, was waiting to tell us the story not only of its remarkable patron, who dared to challenge Justinian, but also the establishment of signs and symbols of divine and heavenly kingship in Late Antiquity. One of the primary finds that helped to identify St. Polyeuktos was the inscriptions that were to be found around the fragmentary niches, the apse of which were filled with the outspread tail feathers of a peacock. The inscription was identified as the seventy-six line epigram recorded in a 10th century source, Palatine Anthology, which stated that it belonged to the church of the martyr Polyeuktos built by Anicia Juliana, the great-granddaughter of the empress Eudocia (wife of Theodosius II) "who built a structure to rival the temple of Solomon." 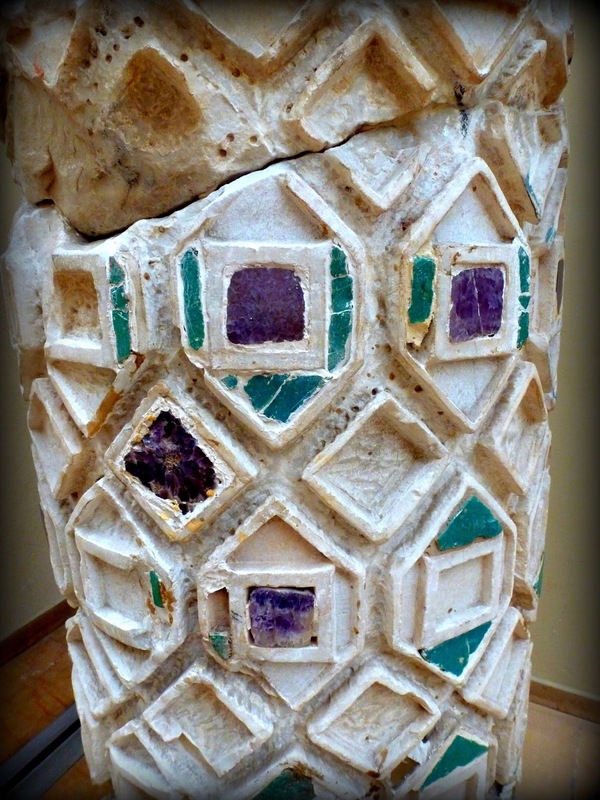 Dr. Martin Harrison, who excavated the dig also discovered that the unit of measurement used in the church was the royal cubit as opposed to the Roman foot and the church measured 100 royal cubits feet square, the measurement of the Temple at Jerusalem, built by King Solomon in tenth century BCE. 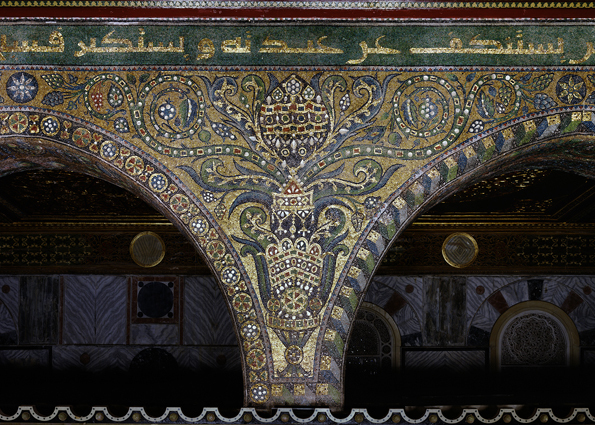 Princess Anicia Juliana had not only planned and executed one of the predominant signs of kingship in every detail of her church but she had also brazenly declared it like a manifesto in one of the most visible elements of the structure, the decorative inscription. The Church of St. Polyeuktos appears in the Byzantine Book of Ceremonies, which mentions the emperor stopping here during imperial procession for Easter Mondays where he changed his candle before continuing along the Mese to the Church of the Holy Apostles. 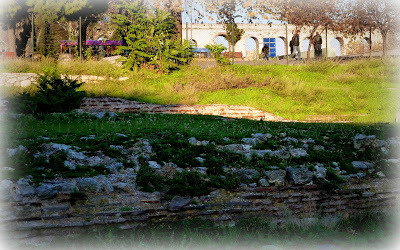 Another literary source that mentions the church of St. Polyeuktos and adds an interesting dimension to the whole construct is the sixth century story by Gregory of Tours. In this story, Juliana's confrontation with the "upstart" Justinian (he was of peasant stock while she had the blood of the Theodosian dynasty coursing through her veins) and her victory over him is told. Justinian looking for more revenue to fund his defense and building projects requests Juliana make a contribution to public funds. She humbly asks for time to gather her treasure and meanwhile instructs her workers to plate the roof of the church using all of her gold. 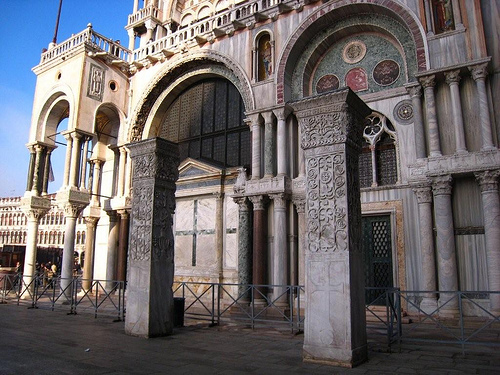 When Justinian comes back, she takes him to the church where they kneel in prayer and when they are done, she points to their surroundings, and tells him to take what he likes. Since he is not about to take apart a house of God, Justinian is about to leave when Juliana gives him her emerald ring saying, "Accept, most sacred Emperor, this tiny gift from my hand, for it is deemed to be worth more than this gold." The passing on of the ring has been interpreted by scholars as the last member of the Theodosian dynasty passing on the right to rule to her successor. It is also assumed that Juliana was a disillusioned, old woman by now, neither her husband nor her son attaining what she deemed was rightfully theirs, the position of emperor. From what can be gathered from the archaeological evidence and the remaining artifacts, St. Polyeuktos had been pillaged during the fourth crusade, some parts making their way to Europe and finally collapsed around the 13th century. Except for a few marble fragments in museums and the two pillars gracing the Piazzetta outside of the south walls of the San Marco under the auspices of Pillars of Acre, all that remains in place of this once magnificent church whose influence can be seen from the Hagia Sophia in Istanbul to the S. Vitale in Ravenna is the substructure. 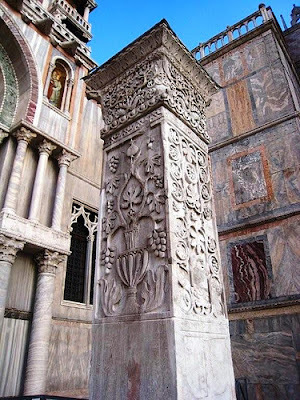 Some scholars believe the workers that created the splendid, marble decorations for the church were recruited by Bishop Ecclesius on his visit to Constantinople to go to work in S. Vitale in Ravenna while others probably worked on Justinian's two churches, SS. Sergius and Bachus, and Hagia Sophia, that bear a striking resemblance in the quality and type of marble sculpture to St. Polyeuktos. This is why Justinian's legendary quote upon completion of the Hagia Sophia, "Solomon I have outdone thee!" is believed actually to be addressing Juliana. Today, when I stand in Saraçhane Square and look around me, instead of seeing another busy, Istanbul thoroughfare with a sea of bustling humanity and throngs of vehicles passing through on their way to some other destination, I imagine the imperial procession approaching St. Polyeuktos, with large tapers in their hands or members of the factions, the demarche of the Blues with the deme of the Whites receiving the emperor and the criers saying "Your divine Majesty is welcome" and the acclamations of eulogy being chanted by the criers and the people... It's almost as if a silent, black and white movie just became a technicolor movie with sound. As I venture around the ruins, I try to imagine and draw courage from Anicia Juliana, a woman who was bold enough to compare herself to King Solomon 1500 years ago. 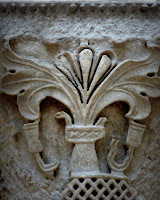 When I consider the decorative cycle with those unique Sassanian inspired plant motifs, I get a glimpse of the far-reaching interaction between the two rival courts, cultures, and can't help but wonder how much more there is to know that we still haven't discovered or been able to see through our Greco-Roman centric, point of view. I liken the site to a momento mori in the inevitable abandonment and destruction of even such a significant structure when it fulfilled its usefulness. Art history is the visual manifestation of the common link that connects us to the past, the present day as well as the future. Every work of art I encounter has a story to tell about the time, the people, the culture and the world at large which broadens my perspective about the world I am living in and my place in it. My journey in the world of art history is a very personal one that has given me a sense of belonging. By studying the history of art, I not only discover the details of different cultures from history, I also find the common link that bonds us all together as human beings. St. Polyeuktos was obviously not the first work of art that I encountered to get me interested in this type of study and Byzantine art is not the only concentration I am interested in, when it comes to art history, I am not discriminating, I will take it all in. I have favorite artists and favorite time periods of course but as I progress further into my research, I realize that the two fundamental aspects that has me so enthralled every single time is how each work touches my soul and my intellect. I would like to thank Hasan for giving me this opportunity to share my thoughts on 3 Pipe Problem. One of the greatest benefits of blogging about art history has been the connections I have made with like minded individuals and I feel I owe a special thanks to Hasan for this as well. His generosity of spirit has been a connecting force for a lot of art history bloggers from all the corners of the world. 6. Harrison, M. A Temple for Byzantium. University of Texas Press. 1989. 7. Mango, C and Sevcenko, I. 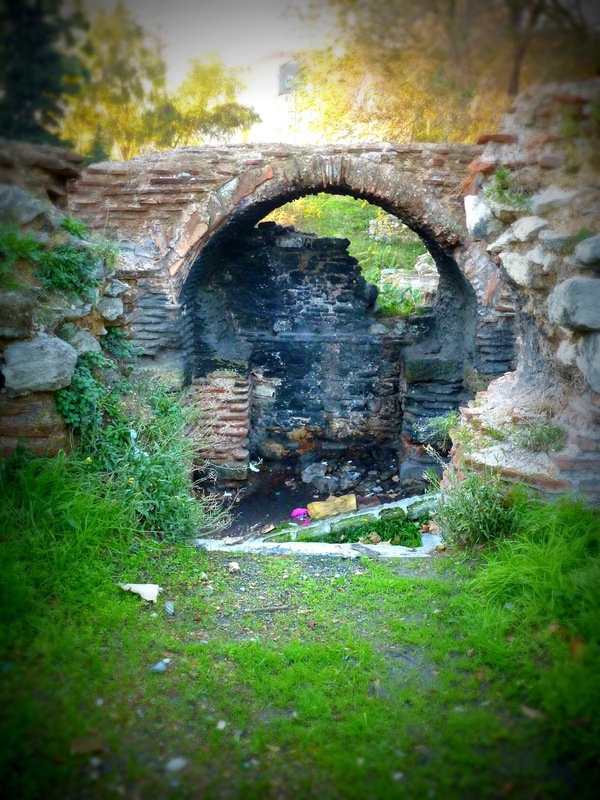 Remains of the Church of St. Polyeuktos at Constantinople. Dumbarton Oaks Papers. Vol. 15. 1961. Sedef Piker is an independent researcher traversing between Istanbul and New Jersey dedicated to advancing a greater understanding of the cross-cultural interactions between the 'East' and the 'West'. After years of being subsumed in the culture of the Ottomans during her work as a student of manuscript illumination at the Nakkashane (Ottoman academy of painting) of the Topkapi palace and later Grup Gulefsan atelier in Ankara, she is currently trying to augment her knowledge in the art and history of Western civilizations. When she isn't taking classes at Rutgers University, she rejoices in sharing her new discoveries in the world of art and its history on her blog Sedef's Corner (link). Thanks, Sedef! My brother Lyle and I just got back from Turkey and we are already making our list of must-see objects and sites for our next visit. 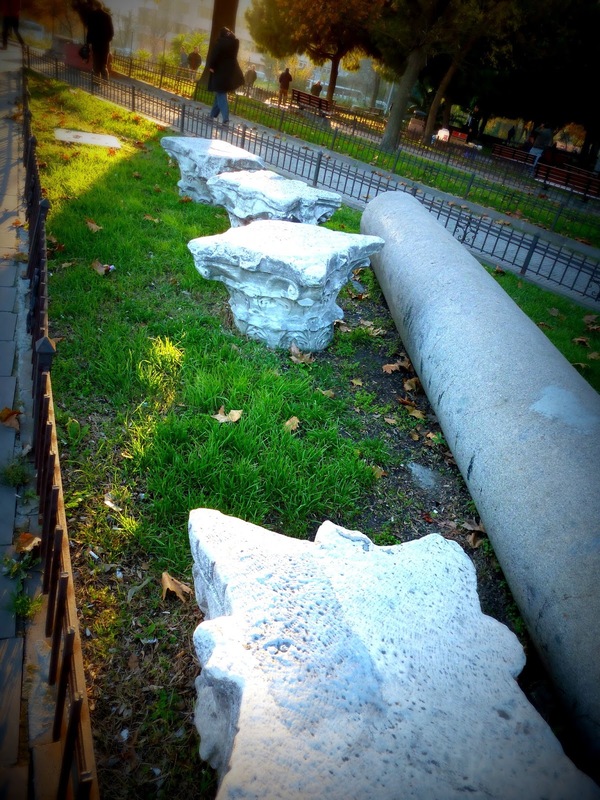 In regard to peacocks, do you know the peacock columns that are still visible in Beyazit Square (the old Forum of Theodosius) which was on the processional route that you describe? I will ask Lyle (the family photographer) to see what he has on file. One of the more dramatic moments of our previous visit (eight years ago) was being stopped by the police for photographing a restricted site (the Forum of Theodosius being dangerously near Istanbul University). Lovely post, Sedef! 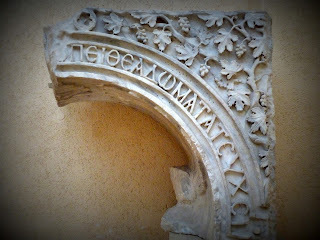 I wish that I had known about the Church of St. Polyeuktos when I was at the Istanbul Archaeological Museum last summer. 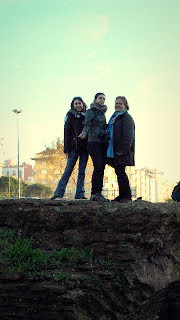 Nonetheless, I'm glad that I was able to revisit Turkey through your trips. 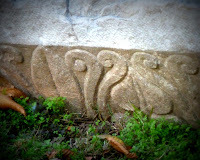 I know that the peacock was a symbol of immortality and resurrection for the early Christians, since it was thought that the flesh of the bird was incapable of decay. I assume that similar symbolism pertains to the peacock imagery in the apse of this church? How interesting that Justinian's famous "Solomon, I have outdone thee!" quote is thought to be directed to Juliana! Thanks for sharing! A very interesting post. I am sorry That I missed it as well when I was in Istanbul. It would be interesting to trace the transformation of the Peacock's symbolism from pagan signifier of Hera to Christian iconography. 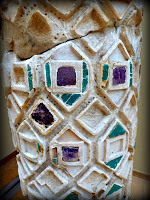 M @ Alberti's Window - Thank you for your comment and the link to your post. 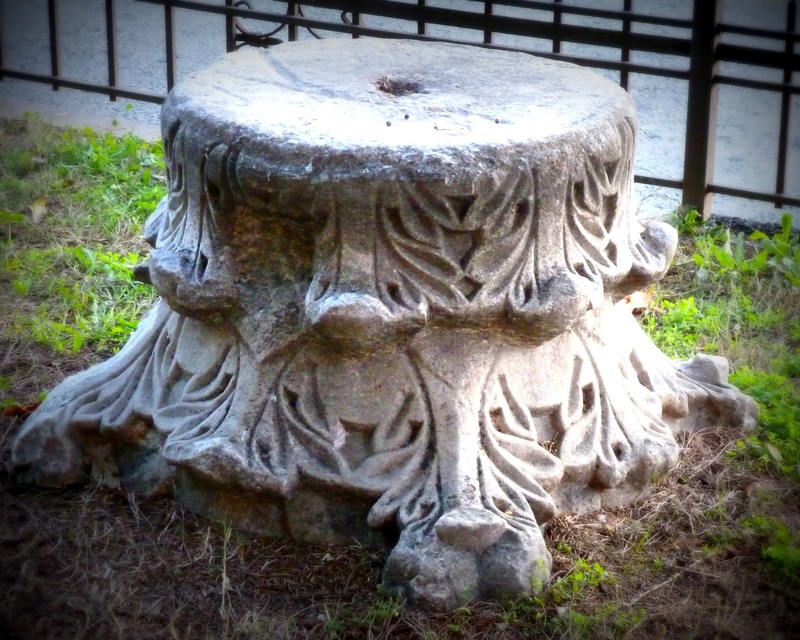 There seems to be a lot still to be discovered about the Byzantine empire. Luckily, there are some great scholars working to unravel the mysteries every day. Dr. Jonathan Bardill is currently working on a book about St Polyeuktos which should be very interesting since he researches Roman brickstamps. What you say about the early Christians is true but there seems to be a special association here between Anicia Juliana and peacocks. The Vienna Dioscurides which was dedicated to her had a peacock on the endpaper. 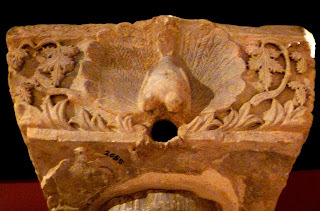 Dr. Nees suggests it might also have some association with Roman imperial women, empresses being associated with Juno/Hera whose sacred animal was the peacock. The legend on imperial coins for empresses would use this iconography. @ Caroll - I agree it would be really fascinating to trace this transformation but we do know that Romans were very pragmatic when it came to incorporating different factors into their culture don't we? Thank you for your sharing your thoughts.